In a very warm climate and with substantive exchange of views took place the first tripartite meeting of the Foreign Ministers of Greece, Cyprus and Israel in Jerusalem. 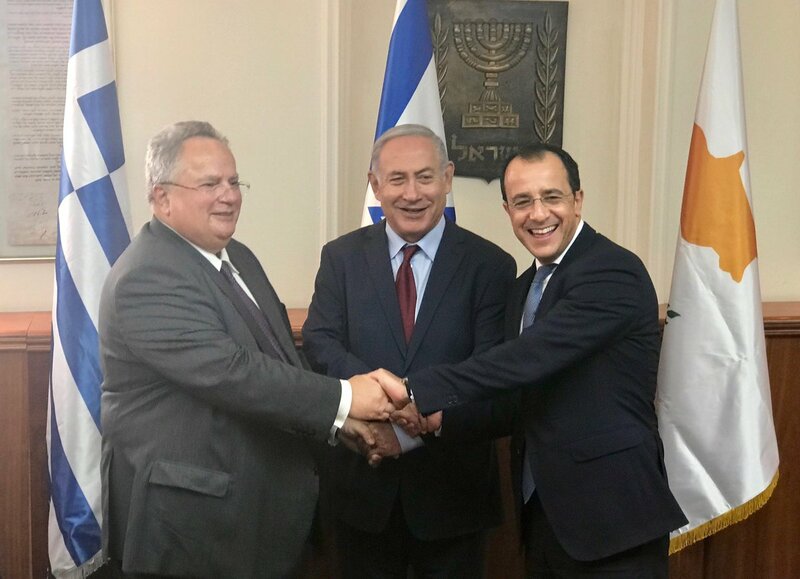 The Israeli Foreign Ministry gave a working lunch for the Foreign Ministers of Greece and Cyprus, followed by a bilateral meeting of Nikos Christodoulides with Benjamin Netanyahu. After that was the trilateral meeting with Kotzias, Christodoulides and Netanyahu, initially among themselves and in a broader composition later. The round of contacts was concluded with a meeting between the Israeli Prime Minister and Foreign Minister with Mr Kotzias. Late in the afternoon, Mr Kotzias and Mr Christodoulides left for Cyprus, where they will depart for Egypt on Friday, September 14, to participate in the tripartite meeting with Egyptian Foreign Minister, Sameh Shoukry.